You’ve heard it said a million times: “Your home is the largest investment you’ll ever make.” I take those words to heart. Especially in today’s market. From providing you with good old-fashioned personalized service to utilizing all available technology, I’m determined to make your real estate experience a smooth and positive experience. Buying or selling a home is one of the most important transactions in the lives of many people. Because of that, it is important that you work with someone you trust and feel is a market expert with integrity. People trust me with their most-valuable asset, and it’s a responsibility I take very seriously. 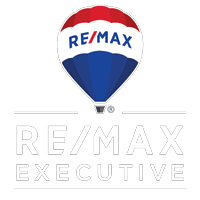 I am a full-time dedicated agent with extensive knowledge about all aspects of real estate from the beginning of a search to beyond the closing. As a native to Charlotte I am not only passionate about our market area but also know the history and have witnessed first-hand all the changes in the last 50 years. I attend continuing education classes and conferences regularly to stay abreast of this constantly-changing industry. Please allow me to guide you through the complexities of buying or selling your home, eliminating hassles and stresses. I will provide sound and trustworthy advice to help you achieve your real estate goals. I appreciate the opportunity and look forward to working with you.